Man may not be able to walk on water. But he can now drive on it. The fuel cell of the Honda FCX Clarity harnesses a chemical reaction between hydrogen and oxygen to produce electricity, and H2O. This electricity then powers a 100kW electric motor to drive the car. It’s a bit smarter than that, though, also using hybrid regeneration technology to charge a lithium ion battery that stores and provides supplementary power. Refilling the 171 litre reinforced tank with compressed hydrogen gas at 350 bar takes about 3 minutes. The gas is cooled to minus 40 degrees centigrade to ensure the process of compression does not create too much heat. And a comparatively low pressure of 350 bar means that the tank does not have to be ridiculously thick to safely contain it. 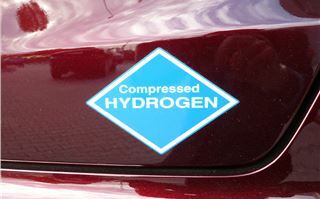 In the car we drove the hydrogen was a byproduct of creating chlorine by electrolysis. That plant alone creates enough hydrogen to fuel 1,000 cars for a year. 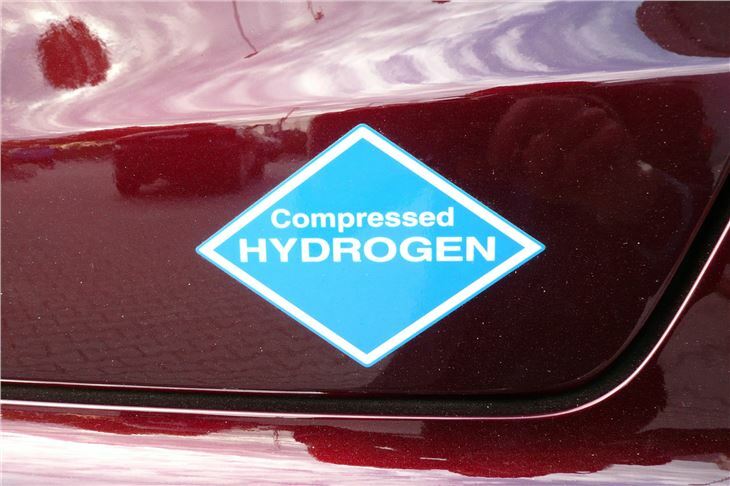 However, hydrogen can be produced from renewable sources such as solar, wind or hydroelectric power, using electrolysis to extract hydrogen from water. The most common way of producing hydrogen is steam reforming from natural gas, though there is an environmental cost to this. Honda has developed a Home Energy Station that produces hydrogen from natural gas to not only refuel a car and also a fuel cell that produces electricity for the house. 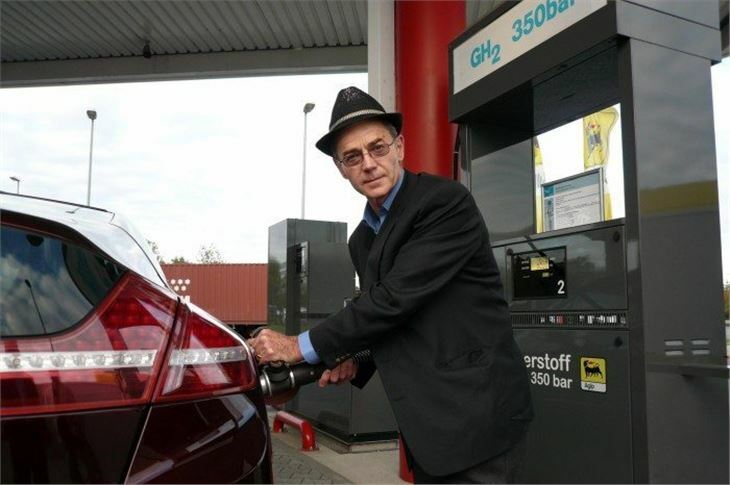 Honda has also built solar powered hydrogen refuelling stations that produce hydrogen from water electrolysis using electricity from solar cells. These are being trialled in California. 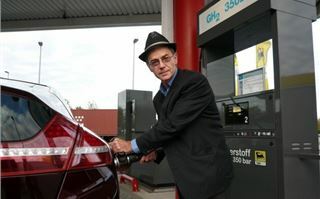 And the Mayor of London has announced plans to establish six hydrogen-refuelling stations in London by 2012. 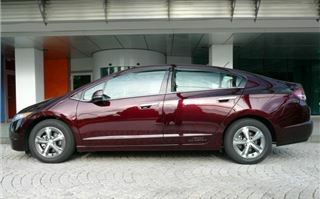 The car itself is luxurious, beautifully built and surprisingly conventional to drive. You hear a milk float-like whirring noise from the electric motor, but it’s otherwise silent (something you need to remember in car parks because pedestrians don’t hear you coming). 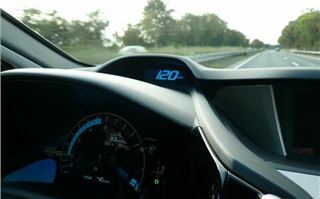 Acceleration is reasonably strong and the car has no trouble cruising at 120kmh on the autobahn, with another 40kmh to come if you need it. But at higher speed hydrogen consumption increases noticeably. Handling is more American than European and you can feel the weight of that heavy hydrogen tank between the rear wheels. 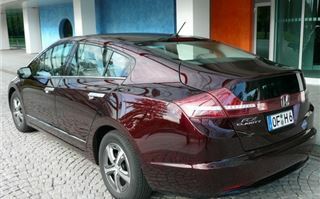 But this is nevertheless high quality car with masses of legroom in the back and a luxurious feel. Not quite in the same class as a Lexus LS600h, but a Lexus owner would not feel short changed. It’s only a four-seater because the fuel cell sits between the front driver and passenger and the lithium ion battery between the two rear seat passengers. Obviously the fuel tank steals luggage space, but no more than an LPG tank in the boot of a taxi. Seats are trimmed on Honda Bio-Fabrics, the making of which emits 30% less CO2 than manufacturing polyester from petroleum products. 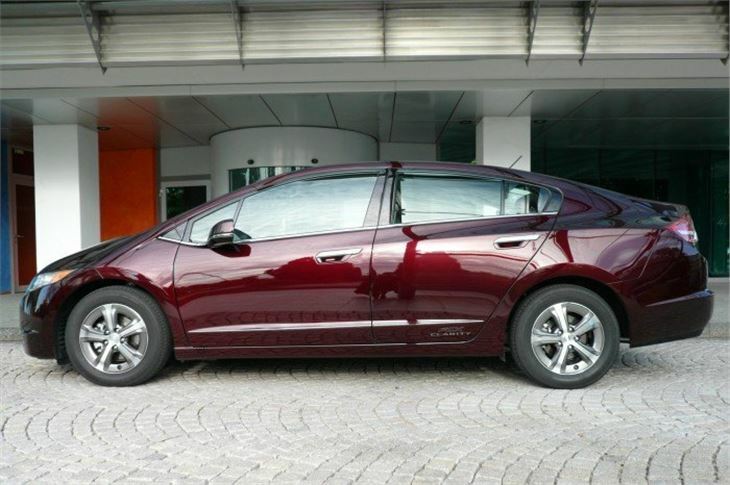 So is the Honda FCX Clarity the answer? No. It’s part of the answer. For towns, heavy traffic and short runs from cold an electric car, van or motorbike makes more sense than anything with an internal combustion engine, because an IC engine is at its most polluting and least efficient used in this way. But there’s no need for a fuel cell for vehicles used only for short range, assuming, of course, the electricity they require can be produced in climate friendly way (which most of Britain’s isn’t and which may itself be in short supply in the relatively near future). For mixed use, a hybrid or plug-in hybrid is a sensible solution, combining low or no pollution on short runs with the ability to travel distances. Meanwhile, increasingly efficient internal combustion engines (increasingly combined into hybrid drivetrains) will continue until the oil runs out or becomes too expensive to extract for use by the masses. The world won’t come to an end in the meantime. 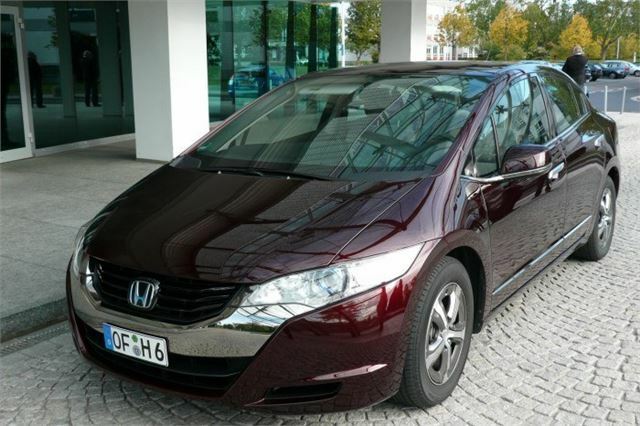 Nevertheless, Honda deserves huge credit for the investment it has made in coming up with a viable, decent driving, luxurious production car that (apart from the lithium ion battery) runs on a resource that won’t run out and creates no pollution at all when doing so. And (though it has that back-up lithium ion battery) it also proves that we don’t need to plunder the world and despoil landscapes to make batteries capable of holding enough electricity to take cars more than 100 miles.